ATM Express has been serving CT for over 10 years. ATM Express has been serving CT as a full service Automated Teller Machine processing company for over 10 years. 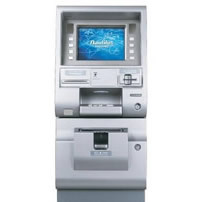 We provide an array of different ATM Terminal machine services and equipment. ATM Express provides the opportunity for retailers to have their customers spend more money at their location and to make a profit on the transaction surcharges as well. If people are looking for an ATM and you are a business owner who wants to expand his revenue opportunities then having an ATM makes a lot of sense. Your business will experience more foot traffic and you will make money on the charges accrued from your ATM. We offer only the best Automated Teller Machine equipment such as Tranax, Triton, Hyosung and much more. We offer a variety of leasing programs and also inexpensive pricing when you purchase an ATM Machine.